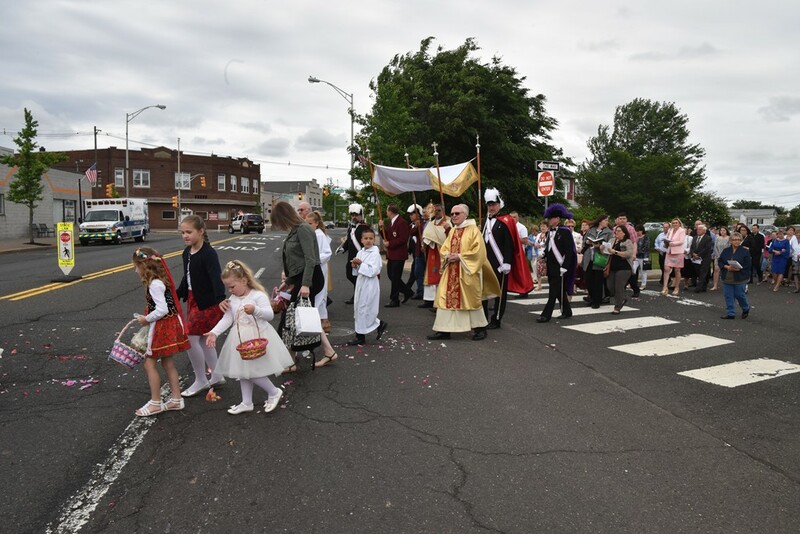 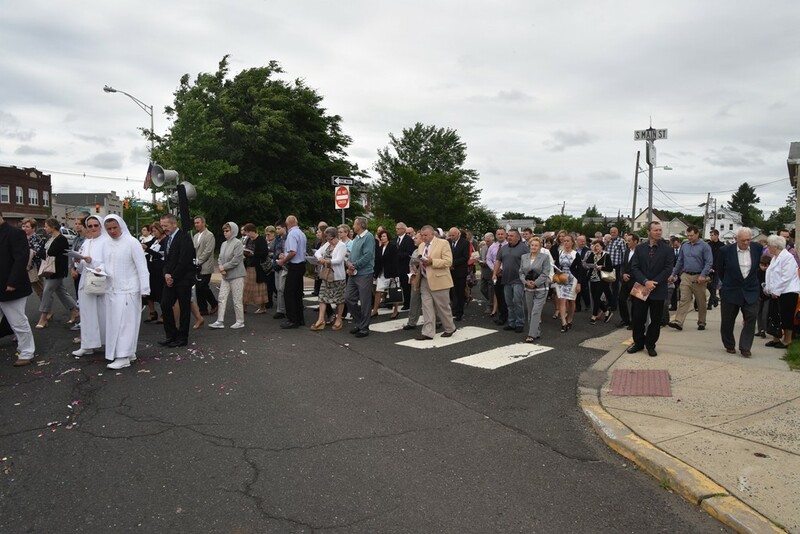 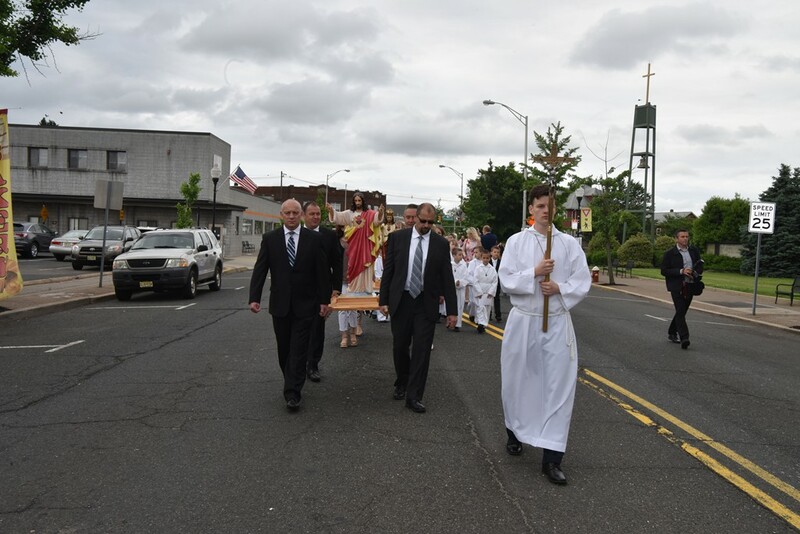 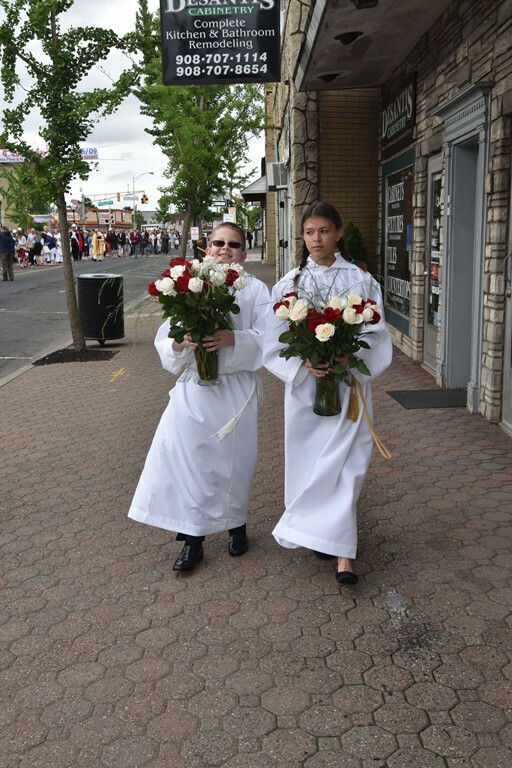 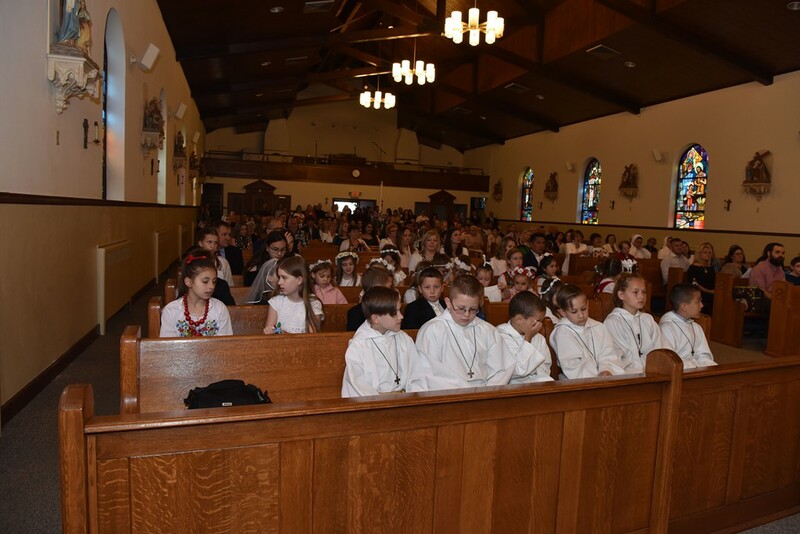 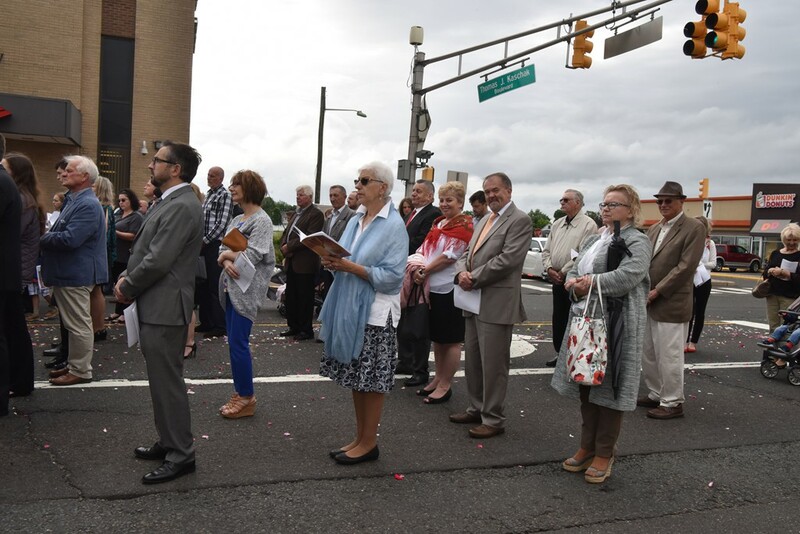 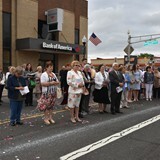 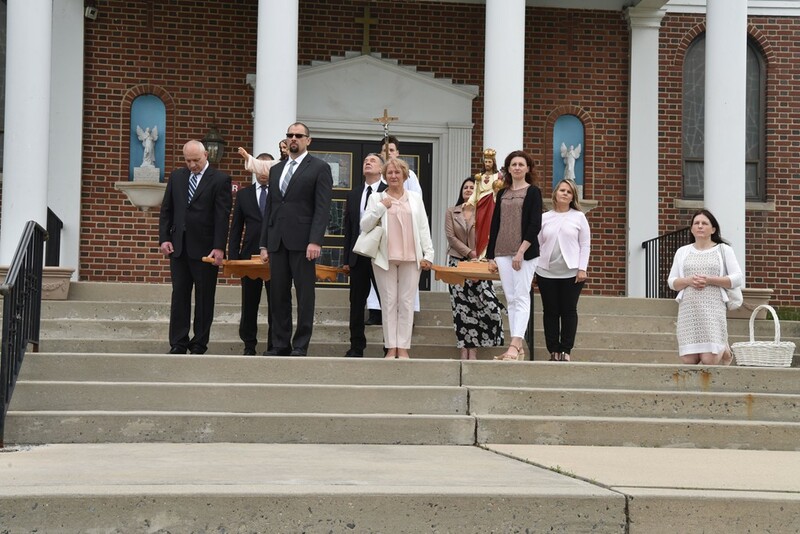 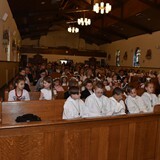 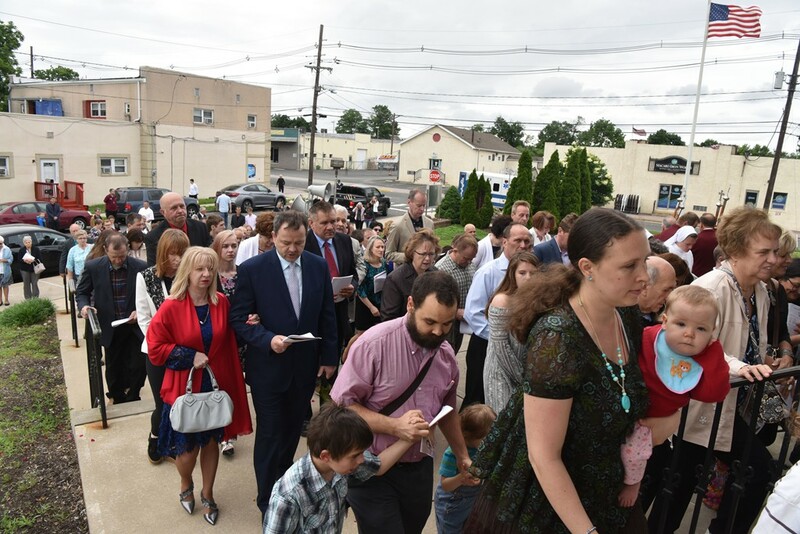 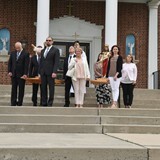 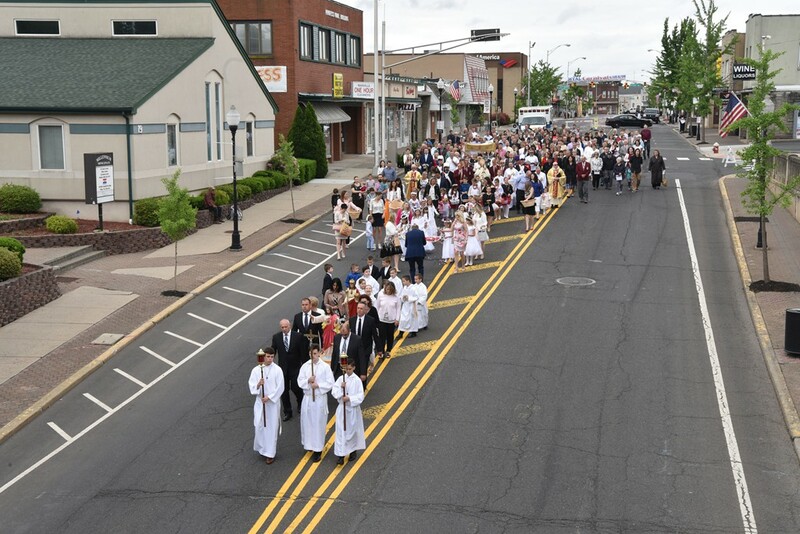 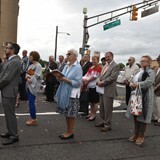 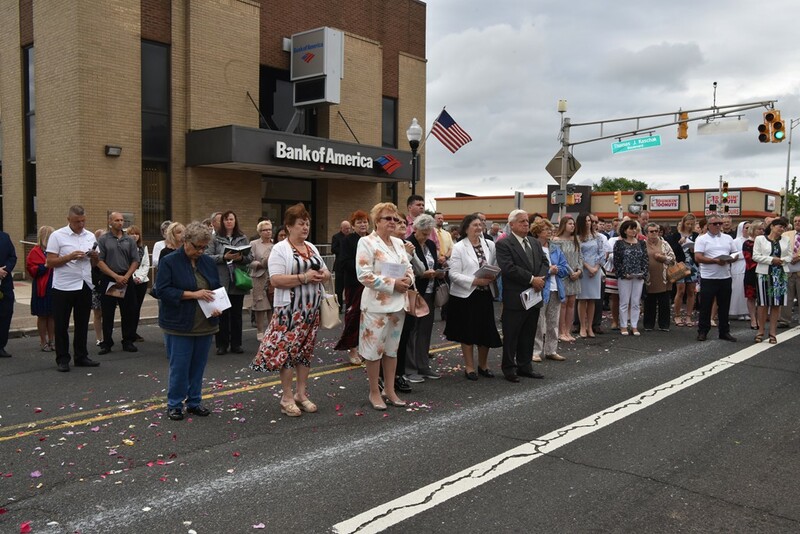 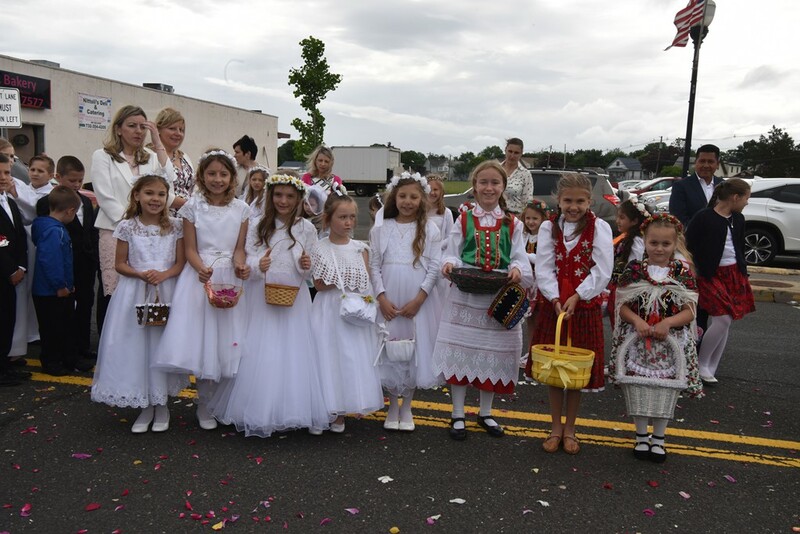 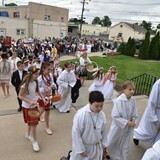 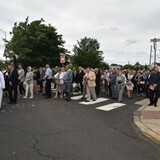 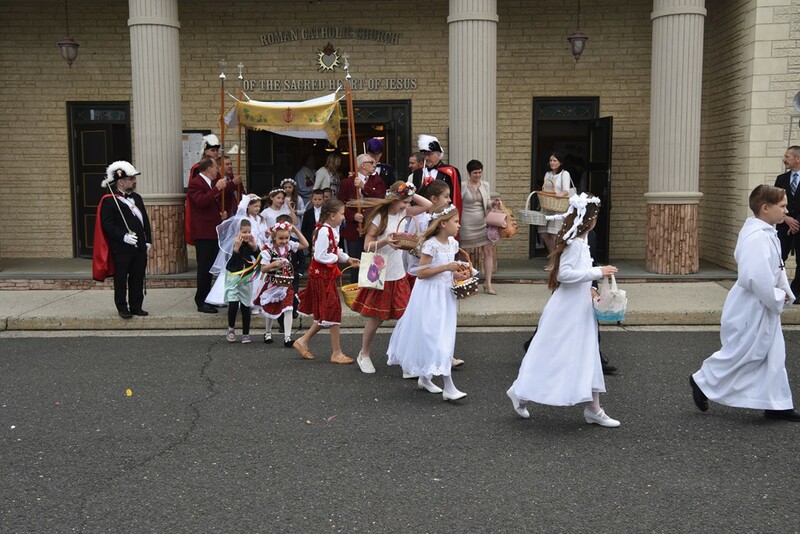 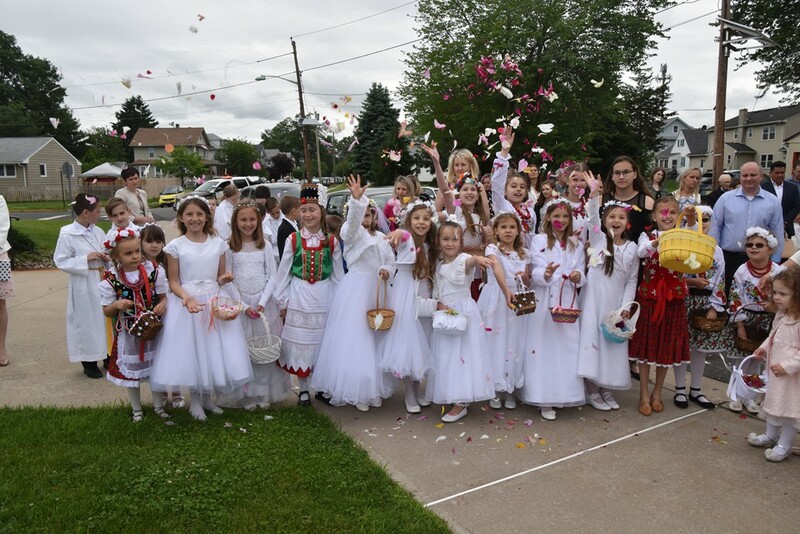 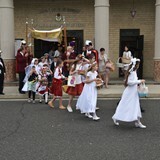 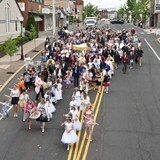 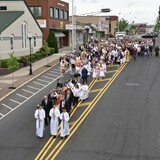 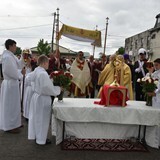 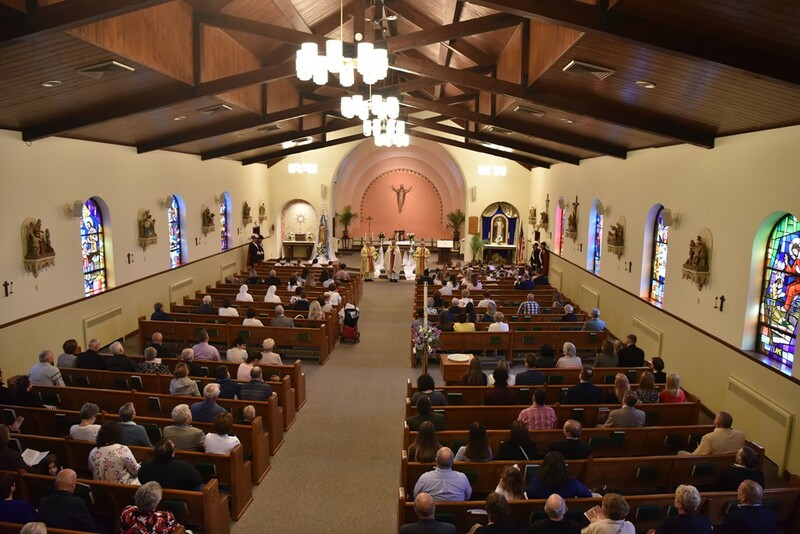 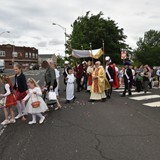 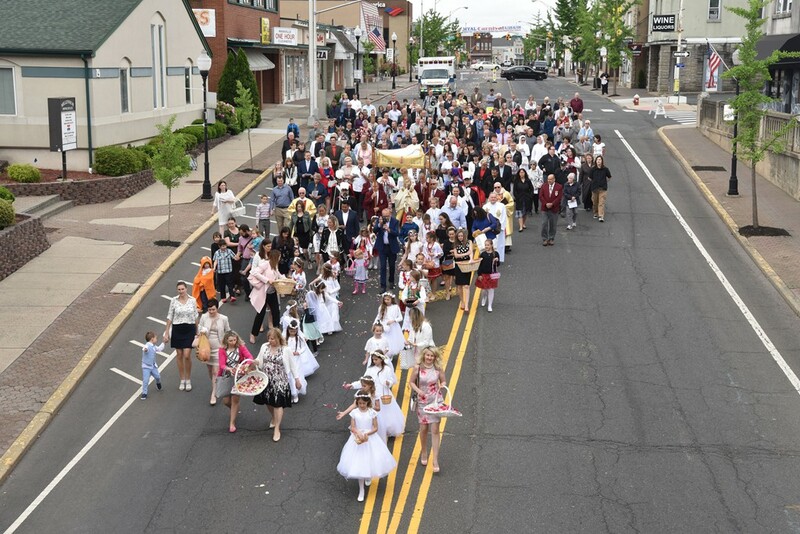 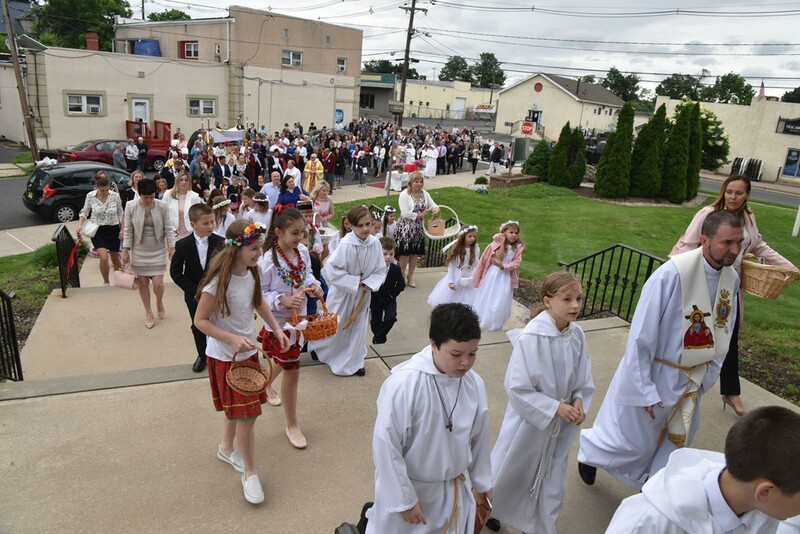 Despite a blustery wind and dark clouds threatening rain, hundreds of members of Christ the Redeemer Parish ignored the weather and participated in the Corpus Christi procession from Sacred Heart Church down the Main Street of Manville and concluding at Christ the King Church. 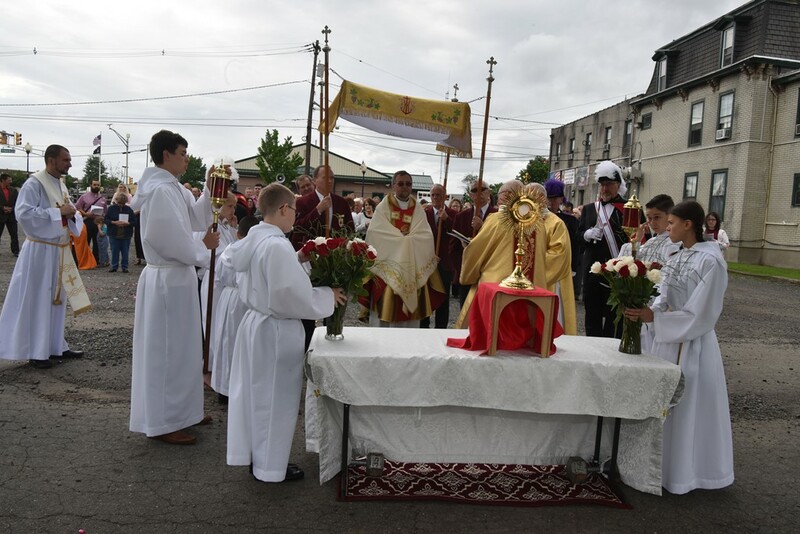 The feast began on June 3, 2018 with an 8AM Mass. 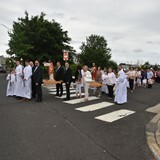 Father Stan officiated with Deacons Tom and Bill assisting. 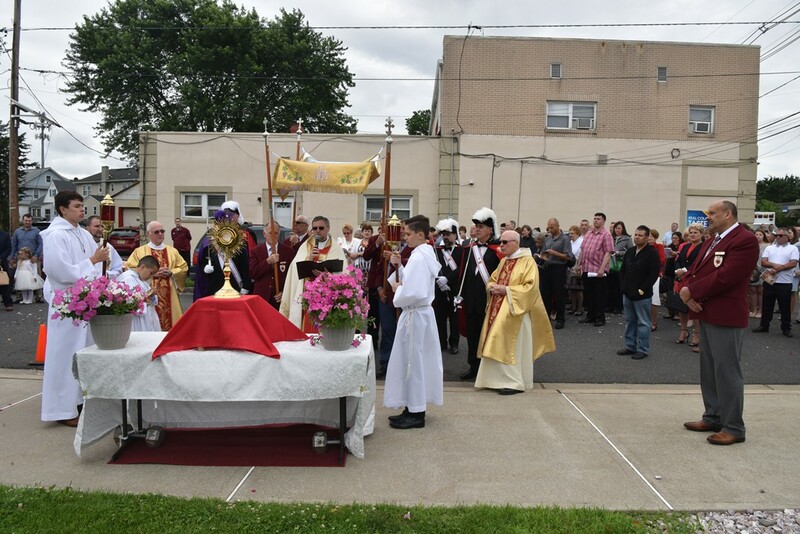 Father Stan stressed the importance of Catholics recognizing the sacrifice Jesus made when he died for us and how the Eucharist displays the love Jesus has for us. 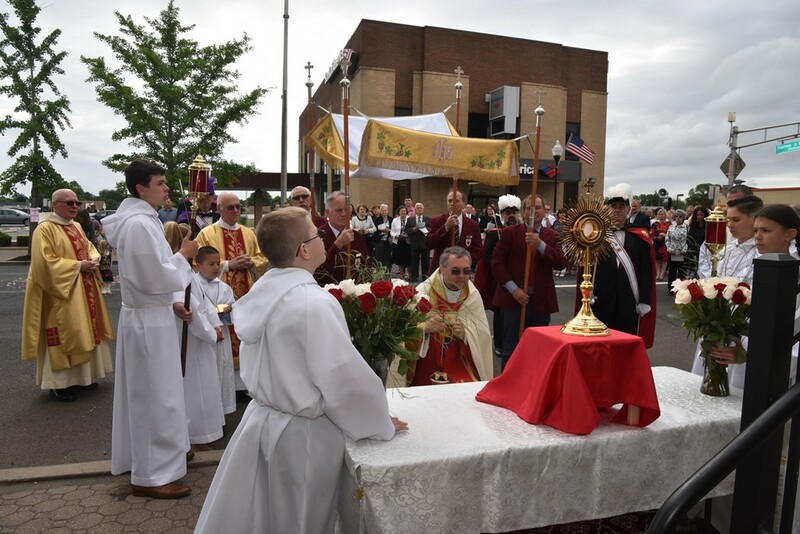 By receiving the Eucharist often we accept Jesus’ love and embrace this precious gift. 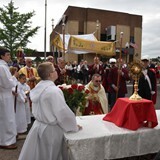 After the bilingual Mass was completed, the exposition of the Blessed Sacrament was presented to the congregation. 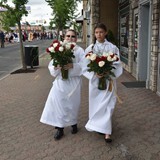 Starting with the cross bearer and candle bearers (altar servers), the procession left the church. 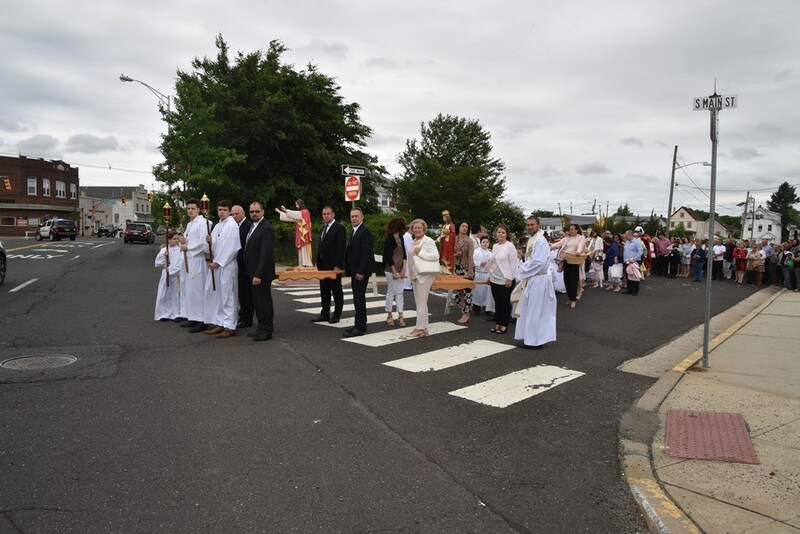 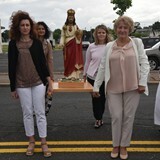 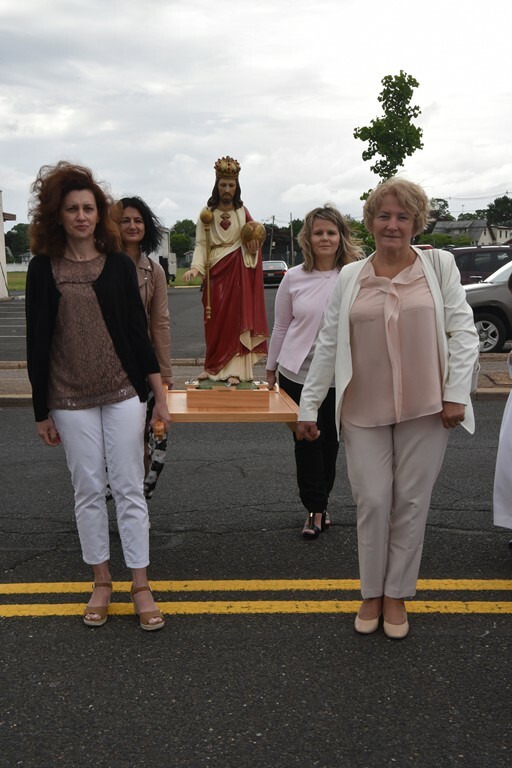 Statues of the Sacred Heart of Jesus and Christ the King were carried by members of our parish followed by many parishioners who serve in various ministries. 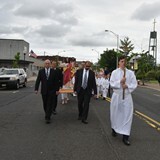 The Knights of Columbus carried a canopy which covered the priest carrying the Monstrance. 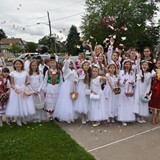 First Communion children carried flower petals and spread them throughout the journey. 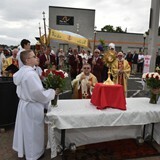 Four altars were set up along the route. 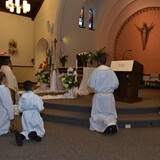 At each altar, a gospel was read by either a priest or deacon. 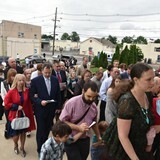 Supplications followed by all in attendance. 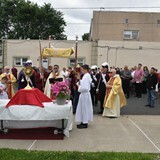 As the procession moved from one altar to another hymns were sung. 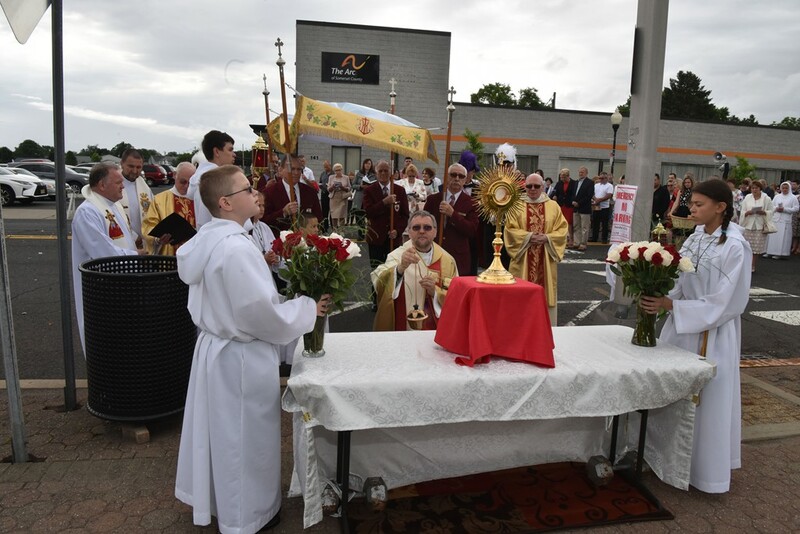 The gospels, prayers, and songs alternated between English and Polish. 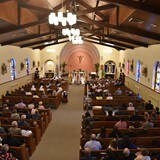 A concluding rite, which included Benediction, was conducted in Christ the King Church. 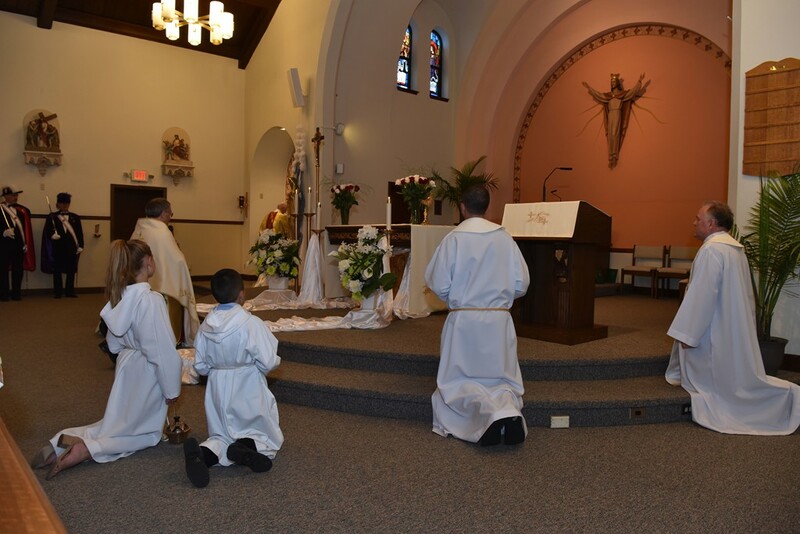 Father Stan thanked all who participated in our Corpus Christi celebration and reminded them to make manifest the gift of the Eucharist. 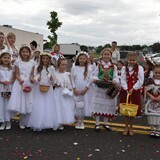 Although the wind and clouds remained, the rain patiently waited until much later in the day.